Plaintiffs can pursue damages under a few different theories, including manufacturing defect, design defect, or failure to warn. A manufacturing defect is when most of the products are fine, but something happened during the manufacturing process to make the specific product the plaintiff used defective and the defect resulted in injury. With a design defect, all of the products made with that design are defective because of the way the product is designed. Failure to warn means that there is a dangerous element to the product that is not obvious and the manufacturer did not warn consumers about the danger. There are some products that are so inherently dangerous that the legislature holds manufacturers to a higher standard, such as weapons or chemicals. In order to recover under strict liability the plaintiff must prove that the product was used in a reasonably foreseeable way, the product was defective when it left the manufacturer, and the defect caused the injuries to the plaintiff. In this case the plaintiffs are arguing that the vehicle they owned was defective because it did not include vehicle stability control (VSC). The underlying facts of this case involve a car accident. The plaintiff was driving in the rain when a vehicle crossed into his lane. As he tried to move out of the way of the vehicle he lost control of the car and got into an accident which caused severe injuries. He then brought suit against the vehicle manufacturer under strict liability. Specifically, the fact that the vehicle did not come standard with VSC. The plaintiff has the burden of proving the strict liability claim. There is specific kinds of evidence that can help either side prove their case. At issue in this case is whether the evidence of industry custom and practice can be introduced in a strict products liability action. 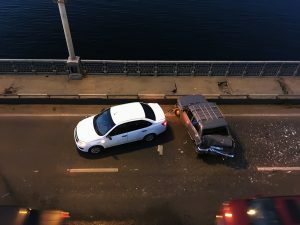 Specifically, the defendant wanted to admit evidence that showed that other vehicle manufacturers did not make VSC standard on their vehicles until years after the accident occurred. The court determined that it depends on the purpose of the evidence. The court goes on to explain that just because a design conforms with industry custom does not mean it is not defective. Since it cannot prove or disprove anything in that case, that evidence is irrelevant and thus not admissible. However, here the court held that while evidence of industry custom and practice is not dispositive, it may be relevant as part of the inquiry. Thus, the manufacturer was permitted to include evidence that showed that the lack of standard VSC in their vehicles was not a “defect” under the law. If you are injured by a defective product, you should contact a knowledgeable Southern California product liability attorney as soon as possible. The skilled attorneys at Neumann Law Group serve clients in Los Angeles, Huntington Beach, and the rest of Southern California. Use the contact form on this website or call (213) 277-0001 to contact us today!